PHOENIX – Arizona Department of Transportation crews are continuing work on one construction project and will soon begin another to enhance safety along US 70 on the San Carlos Apache Indian Reservation. 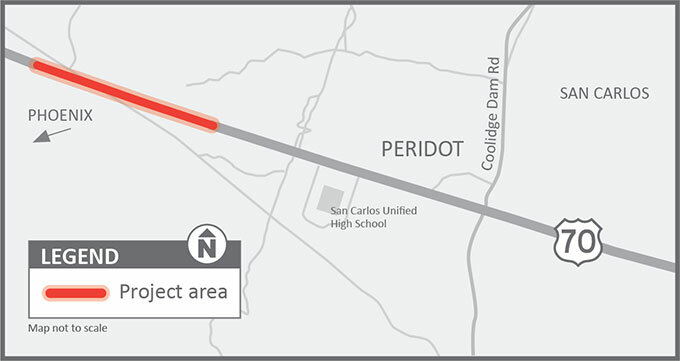 During the week of July 9, construction will start on a westbound passing lane near Peridot, a community on the San Carlos Apache Indian Reservation about 20 miles east of Globe. Crews will be widening and repaving US 70 west of San Carlos High School between mileposts 268 and 269. Drivers should plan for lane restrictions from June through October 2018. Motorists can expect shoulder closures, single-lane travel, and flagger stations with possible pilot car operations. Work is scheduled to take place between approximately 5 a.m. and 3 p.m. weekdays. The speed limit within the work zone will be reduced from 55 mph to 35 mph. In Bylas, about halfway between Globe and Safford on the San Carlos Apache Indian Reservation, an ongoing project is repaving US 70 between mileposts 293 and 297. 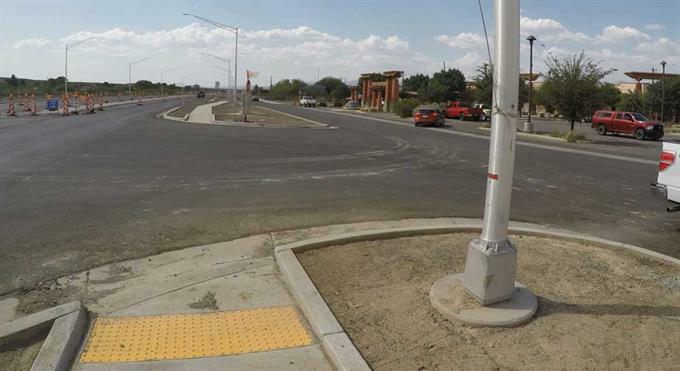 The Pedestrian Hybrid Beacon (PHB) assists pedestrians cross a highway at a marked but unsignalized crosswalk by warning and controlling vehicular traffic. Learn more about how to use the PHB. Lane restrictions maintain a minimum of one lane of traffic for both directions. They are scheduled to occur from 6:30 a.m. to 4 p.m. Mondays-Fridays through fall 2018. The speed limit in the work zone is reduced from 50 mph to 35 mph.